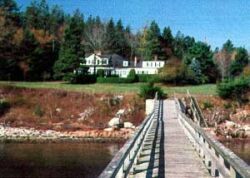 bobfenton.com offers many million dollar coastal Maine properties and including properties in Camden Maine, Belfast Maine, Rockland Maine, Camden Harbor, Boothbay Maine and Portland. 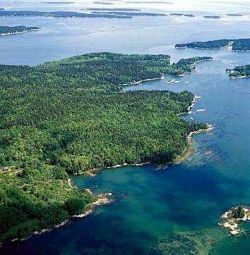 of coastal Maine listings from our statewide MLS. and get daily updates of Maine market conditions. Call us anytime for straightforward answers. Prices on the coast continue to rise as demand for oceanfront property grows. In this price range you'll find smaller and older homes - some in need of repair. You'll also find seasonal cottages and properties on tidal coves. Most of these listings are 20 minutes from a major grocery store. Or there's less privacy and fewer amenities than their pricer cousins. Everyone wants oceanfront. Oceanfront listings that are priced properly will sell fairly quickly. Sign up for our Preferred Buyer's Service and we'll e-mail you every new listing on the day they're posted on the MLS. Call 800-293-4416 and we'll give you an honest overview of the marketplace and let you know how you can accomplish your home buying plans. Private and picturesque oceanfront homes you dreaming about owning. These high-end homes are what you'll see when you flip through the real estate ads in Downeast Magazine or Unique Homes. 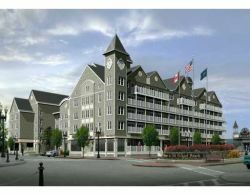 Maine Oceanfront Condos Ocean views. Steps to the beach. Affordable. Call to discuss your search for Maine real estate. Maine Lakefront Homes Lakes and Ponds have some unique features you can't find on the ocean. You can swim in them in the summer! 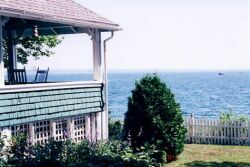 What's more, freshwater frontage usually costs less than oceanfront. 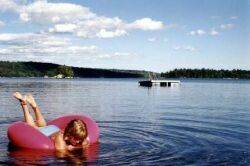 Coastal Maine is blessed with an infinite assortment of lakes and ponds. And...there's miles of rivers and streams! Waterfront living is the stuff memories are make from. Call 800-293-4416 when you need our assistance. Maine Oceanfront & Lakefront Lots Some people like to do things in steps. First you buy the land and then your clear the land and then you.... And some people have a specific home plan in mind that can only be built on a lot they buy. Or maybe you can't find the home of your dreams when your search begins in earnest. You might change your mind and decide on a buildable lot on the water. A lot that will allow you to build a home exactly like the one you've always wanted. The best lots sell fairly quickly. Sign up for our Preferred Buyer's Service and we'll e-mail you every new listing on the day they're posted on our statewide MLS. Homes Built Before 1800 Maine has an abundance of homes built before 1800. Some are in great shape. Some are beyond repair. Restoring an old house is an exciting challenge. There's always surprises and the work can be difficult, expensive and time-consuming. However, your hard work will be richly rewarded when you successfully complete your project. Sign up for our Preferred Buyer's Service and we'll e-mail you every new listing on the day they're posted on the MLS. Or call 800-293-4416 and we'll give you an honest overview of the marketplace and let you know how you can accomplish your home buying plans. 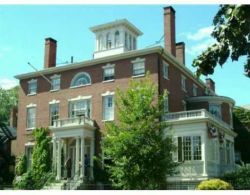 Owning a Bed and Breakfast is one of the fastest growing segments of home-based business around the world. People are retiring earlier or being displaced in their jobs and are looking for constructive ways to stay busy and earn extra income. 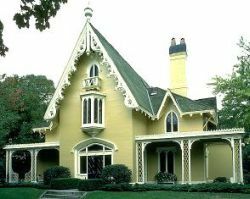 Buying a bed and breakfast is much more involved than buying a house. And running an inn requires much more attention to detail and time than having house guests. We'll help you reach your goals and make the important decisions regarding your purchase before you buy. You need to get a fact-filled and prompt response to your inquiry. 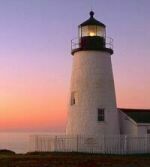 You want to know about all listed properties in mid-coast Maine that are in your price range.